First, I needed an easier way to measure the RH/relative humidity in my humidor - my old analog hygrometer works, but for some reason I never check it. Huhn? What's up with that? So while I was over in Georgetown the other day, I stopped by Rain City Cigars and picked up a Xicar digital display hygrometer - it'll measure both the RH percentage and the temperature. Exactly what I'm looking for! When I got home that night, I placed my brand-spanking-new hygrometer inside the humidor, waited a few hours, then took a look. How embarrassing - that box was basically bone-dry. JEEZus! It would need to be re-seasoned/recharged, whatever you call it, but in the meantime I needed a quick fix for my sticks! 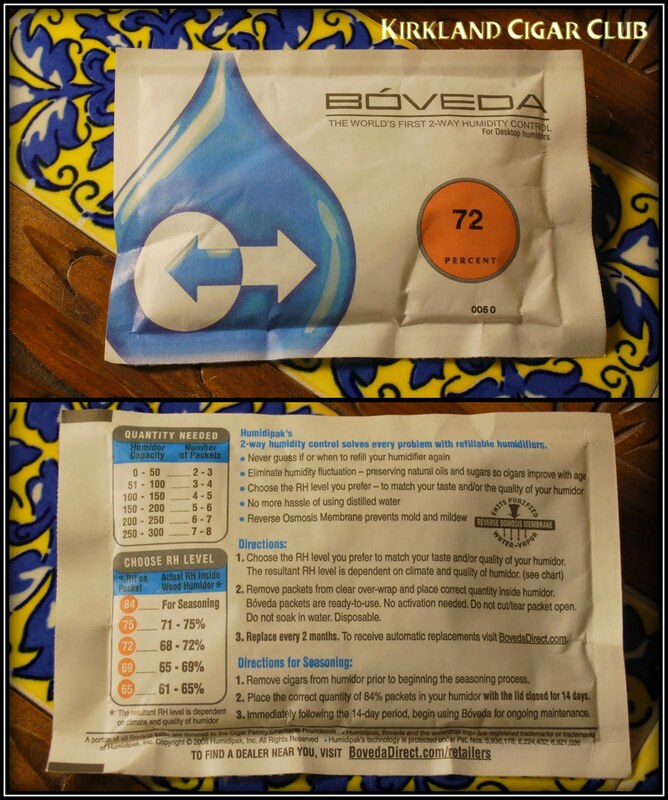 Surprisingly I didn't see these over at Rain City, but the Tobacco Patch in Kirkland has just about everything, including a couple of varieties of the Bóveda, so I picked up some of the 72% RH bags. Now since my humidor was almost bone dry, it wouldn't really do me any good to just throw these bags into the humidor and shut the lid, no, my humidor would need more attention than that, so in the meantime time I placed all my cigars into a BIG Ziploc bag along with two Bóveda humidpak and put them to bed. The next day I take a look at the digital display on the hygrometer that I had placed inside the bag: 70% RH and 67º degrees. WOW! These humidipaks were made for idiots like me. No mess, no measuring, no brains required, just change them every couple of months (or when they dry out) and you're good to go. What could be easier? Side note: You're probably wondering what I used for humidification before this? Well, I had a couple of those green foam thingamabobs that are enclosed in a round plastic case. I would add the 50/50 solution of distilled water and Propylene Glycol religiously, but my biggest downfall was not trusting my analog hygrometer, which as it turns out works perfectly; calibrated it the other day. My new motto: "Always trust your instruments"
Our next Tuesday Night Cigar Club event will be on March 29 as we are joined by our good friend and whiskey expert Ari Shapiro. We'll be featuring fantastic single malts from Bowmore and Glenrothes as well as Macanudo's new Cru Royale. As always, we'll have free appetizers great specials and lots of prizes. The party starts at 6pm. We'll see you there! It's a lot of fun, and more importantly a great deal. Get a cigar along with a draft beer or well drink for only $10. Last week, you rated the El Triunfador #2 by Tatuaje an 81. 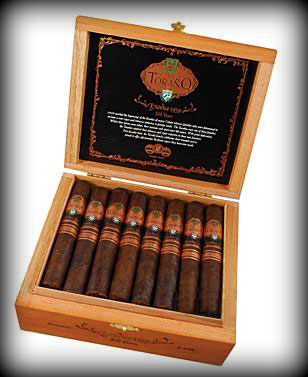 Brand new to our humidor, the Carlos Toraño Exodus 50 year box pressed cigar was #12 on Cigar Aficionado's Top 25 list for 2010. "This is a cigar for all seasons. If you like a cigar that is a bit stronger, or if you like one that has good taste, everybody likes this cigar. It's very flavorful, easy to smoke, very pleasant, and gives you a good feeling. It's one of those cigars that after you smoke it, you ask if you can have another. It's a very beautiful cigar to smoke." I Stopped by the Tobacco Patch on St. Patrick's Day to say "hello" to the gang. Perfect night to sit outside and enjoy a cigar. As an added bonus you could watch all the Irish on their way over to the Wilde Rover Irish Pub, it's just a few doors down. Anyone make it over there for St. Patrick's Day? That was definitely the place to be this year! What a zoo, and I mean that in a good way! What, maybe a thousand people showed up? Holy Crap! 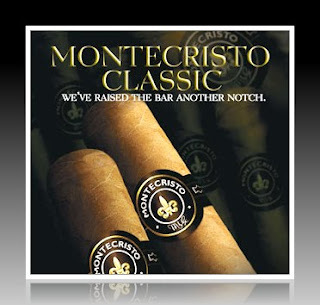 We started the evening with an Oliva, but finished with a Montecristo Classic. Not a bad cigar at all. My views haven't changed really, still a very good smoke - kind of a nice change from an Oliva. I wanted to let you know that their promotion is still going on, but not for much longer. It takes about 6 weeks for delivery, so keep your pants on! Our next Tuesday Night Cigar Club event will be on March 22 as we feature Belvedere vodka along with CAO and Sancho Panza cigars. As always, we'll have free appetizers great specials and lots of prizes. Every Thursday, come take part in our blind tasting experience, Cigar Wars, where we smoke and rate cigars to determine what you think are the best cigars in the humidor. It's a lot of fun, and more importantly a great deal. Get a cigar along with a draft beer or well drink for only $10. Last week, we had a great turnout and you rated the Partagas Black Label Clasico an 89, tying it for our highest rating in the short history of Cigar Wars. Come in and have your voice heard! This isn't a story about cigars, but I thought it was worth passing along. Guests are telling us all the time about interesting things they do with empty cigar boxes, and this might be the most creative one yet. 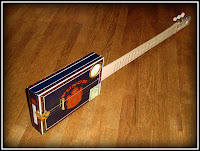 Small guitars made out of empty cigar boxes are popping up everywhere, including this article in the L.A. Times. 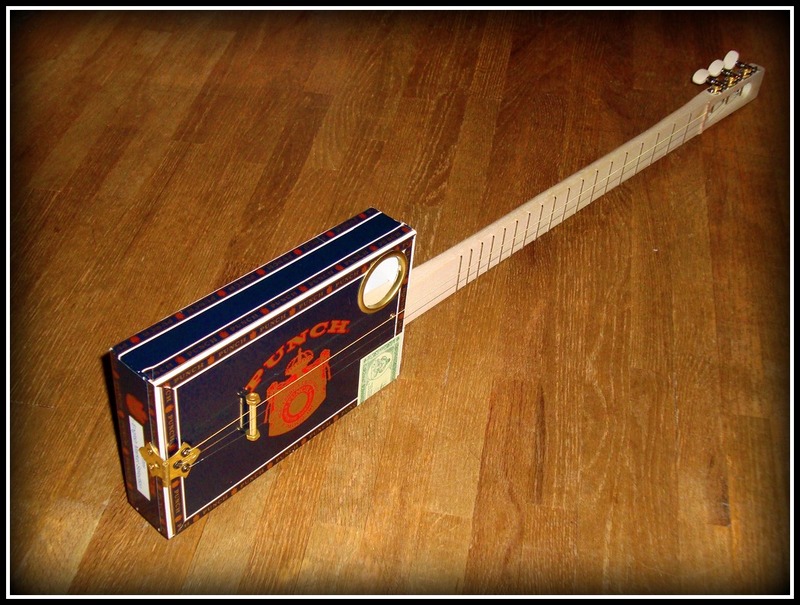 If you're interested in more information on how to build your own, there's an online community called Cigar Box Nation dedicated to this unique hobby! Relentless rain over the weekend, just nasty, crappy, wet weather. I guess it's typical for this part of the country, but you never get used to it, at least I never have and I've lived here my whole life. Anyway, on the brighter-side, on Saturday night while we were at the Lit Cigar Lounge, I picked up a couple of cigars that I haven't tried before. BTW Josh, I noticed that my beautiful Partagas humidor is still sitting in there. What, maybe another month before I can come and pick it up? Backing up one night, Friday night we were down at the Patch. Hard to believe, but the rain had stopped long enough for us to hook-up with the gang and enjoy a cigar and a mocha. Really was quite pleasant for a couple of hours. Got to take advantage of it while you can! Saturday night started at Kanishka Restaurant out in Redmond, this is their new place just down the street from where they used to be. The atmosphere and ambiance are much nicer here, and the food is just the same - delicious! In my opinion it's the best Indian cuisine on the Eastside. As usual, I ate way too much. Cigar time? Yes! Torrential rain driving up to the casino, not our normal Seattle drizzle, but that big Miami-rain-drop crap. Ugly stuff. Thank God for valet parking up at the casino. I don't know why I've been choosing the bigger ring gauge cigars lately, maybe psychologically I think that I'm getting more for my money, I don't know, maybe?. Anyway, I liked this cigar, but I think I'd like one of the smaller version better. Big cigars like this can be a lot of work - they don't always burn all that great, you have to give them a little bigger puff, and they can burn a little hot at times. But that being said, it was a good smoke - very smooth medium-bodied cigar, not real complex, but a very satisfying cigar that lasted forever. Would I buy it again? Not this size, but I definitely want to try the smaller ring size. Sunday afternoon, still raining, maybe it's time to start construction on the ark? Who knows, maybe it'll stop soon. Anyway, I'd done pretty much everything that I had to do, so I broke out the other cigar that I picked up while I was up at the Lit Cigar Lounge. 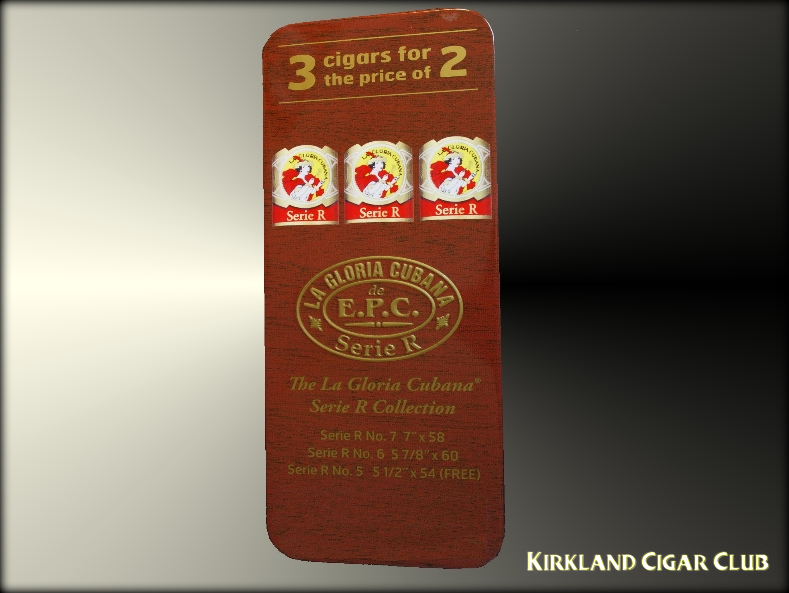 You'll find a coupon for it in this month's edition of Cigar Aficionado. Anyway, it seems like I've smoke quite a few LGC cigars lately, most I didn't really care for all that much, but this cigar is different, this one I really liked. Beautiful dark firm wrapper, perfect burn, full-bodied flavor and tons of rich smoke. Yeah, this was really good. My only little issue was that I smoked it a little too fast - this is a nicotine bomb in disguise. Oh yeah, I was getting a pretty good buzz, so I had to slow it WAY down. But it was worth it, excellent cigar! 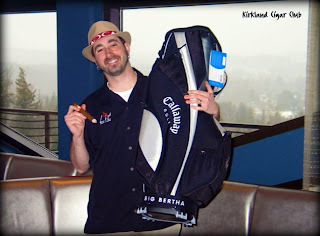 My good friend Chris was nice enough to write a little something about the Berger and Argenti Cigar Event over at J n J Cigars last Thursday. After reading what Chris wrote I wish I would have gone! So I said I wasn’t going to go to the cigar event down at JnJ because I had class that evening and didn’t want to be out late on a work night either. Well I lied and skipped my class and braved the somewhat late night and checked out the event. It was pretty cool. They had some of their other cigars there as well, such as the Mooch and Classicos. The main highlight was the Entubars. To be honest, they have a cool look to them and kind of strange to me, but I was more interested in trying the Classico. Also, the Entubar is kind of weird to me, most cigars are all similar when it comes to construction and the way they’re made, but obviously you got to do something a bit different to stand out, in which, the Entubar does. I didn’t smoke one when I was there but I did buy some. They had some deals like buy 3 get 1 free kind of thing. Well I bought 3 and the co-founder of the B&A just kept handing out free ones. So I bought 3, got 3 free, haha. My brother and I went in on a box too of the Classico Corona Gordas and they gave us another 12 cigars for free on top of that. So I came home with quite a bit. I’ll have to give ya one to try. I really enjoyed it and it had great flavor and lots of smoke. I got quite a few of the Entubars as well. 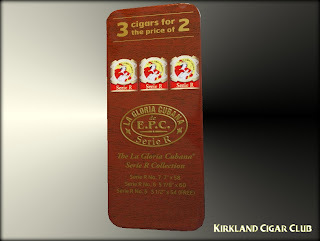 They have one that has the same wrapper as the Classico and then another with a Maduro wrapper. After we bought our box, John the owner of JnJ let my brother and I go up to the Vertigo Club to smoke a cigar. He said who ever bought a box that night would be allowed to go upstairs and smoke a cigar. Me having been there before, I already knew what to expect of the place. My brother on the other hand, it was his first time there. He thought the place was the coolest place he’s ever been to. Will was there earlier in the night but I haven’t seen him yet and when we went upstairs to smoke another cigar, Will was already gone to get something to eat. I was hoping he would have returned so I could say hello again, but no luck. I’ll have to shoot him an email. Well that’s my story about the cigar event. They have 2 more coming up in April. One is on the 9th and the other is on the 29th. Both on a weekend night, so that’ll be awesome, be able to stay out later. 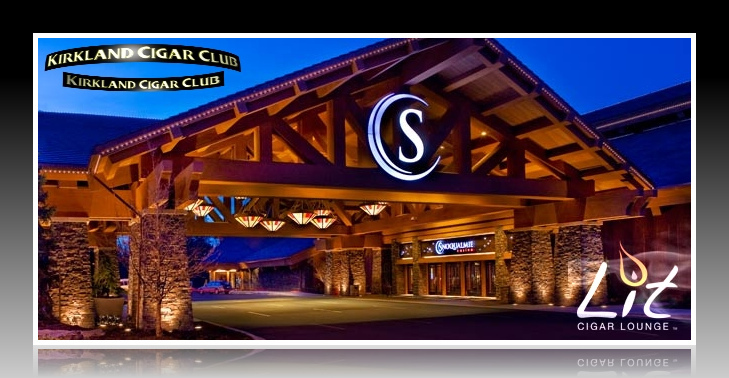 Join us for a St. Patrick's themed installment of our Tuesday Night Cigar Club on March 15. We'll be featuring Bushmills Irish Whiskey, Bailey's Irish Cream along with J. Fuego cigars. 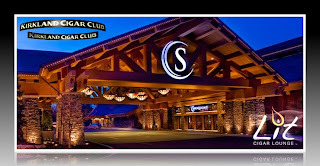 As always the event starts at 6pm with prizes, drink and cigar specials and appetizers. Every Thursday, come take part in our blind tasting experience, Cigar Wars, where we smoke and rate cigars to determine what you think are the best cigars in the humidor. It's a lot of fun, and more importantly a great deal. Get a cigar along with a draft beer or well drink for only $10. 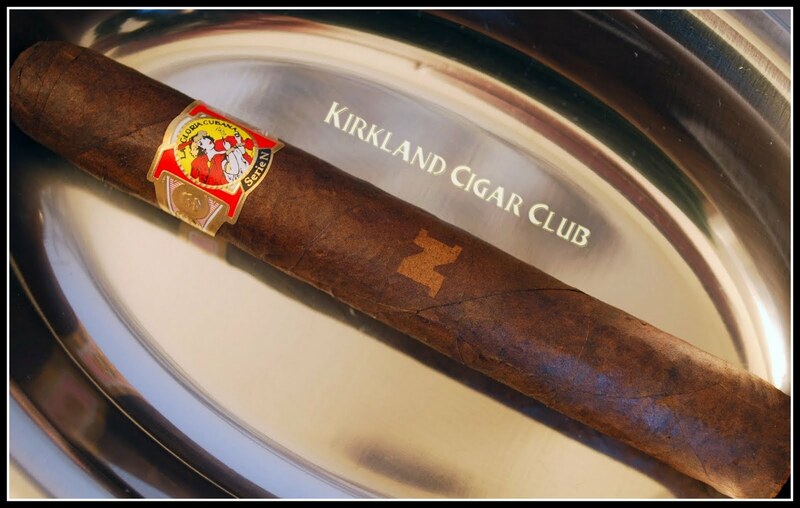 Last week, our tough crowd of discerning smokers rated the EP Carrillo Club 52 a pedestrian 74. Come in and have your voice heard! We've just received a few outstanding new cigars in the humidor worth checking out. 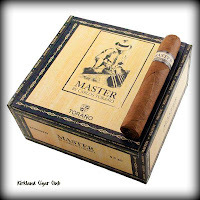 The first is Master by Carlos Torano, a collaboration between Charlie Torano and master roller Felipe Sosa. Charlie describes it as"having a bold, rich flavor... it's for the man with a seasoned palate, a cigar that fully satisfies after an opulent meal or an evening pairing with spirits. True aficionados will discern and appreciate the balanced flavor and body." 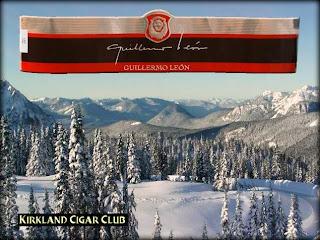 The second cigar is a gem call Guillermo Leon, named after the 5th generation head of La Aurora Cigars, the oldest cigar factory in the Dominican Republic. 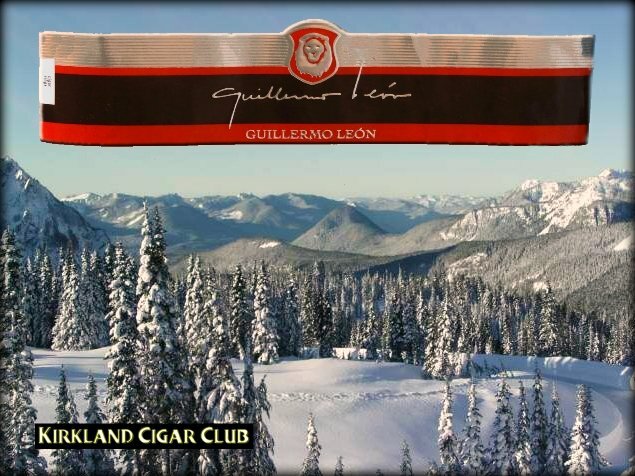 Here's what Guillermo has to say about this cigar. "Obviously, this cigar is personal for me. It is part of my family's legacy for the past 107 years. In this cigar, I wanted something with deep complexity yet also a stronger smoke than most of our offerings. I think this is something that will please today's smokers." Surprisingly nice over the weekend, not all that warm outside, but it was pleasant enough to take a nice long walk from my house down to the Marina - I'm trying to finish off the Serie R cigars that I got the week before so I brought one with me, plus I needed to buy some butane over at the Patch. Anyway, last week was the No. 7, this week the No. 6. First impression: Ring size is too big, not comfortable in the hand. On the plus side - reasonably good taste; little on the full-bodied side. Would I buy one of these again? Neg, not a chance. Not my type of smoke. In fact, after dinner last night my lovely wife and I were out on the back deck having a drink and smoking a couple of Oliva's. My wife mentioned to me that the Oliva's were far superior to the LGC cigar that we had earlier. I could not have agreed with her more! Good call Honey! Thank you to everyone who came out to our Lit Smoker Series event last Saturday. We had a great turnout and everyone seemed to have a fantastic time. The Macallan was flowing and the La Gloria Cubanas were burning for sure! If you're interested in seeing pictures from the event, click here. Our friend John wrote a great review at his Kirkland Cigar Club blog. Check it out! We have a special Tuesday Night Cigar Club on March 8 as we're joined by our good friend Jon Stave with Woodford Reserve Bourbon. We have a small amount left of the 2010 Woodford Reserve Master's Collection Maplewood Finish. Try it before it's gone forever! We'll also be featuring the very popular Edge line from Rocky Patel. As always the event starts at 6pm with prizes, drink and cigar specials and appetizers. Thank you to everyone who's been coming out to participate in our Thursday Night Cigar Wars blind tasting. For those of you not familiar, each week we offer a different unbanded cigar that our guests smoke and rate. 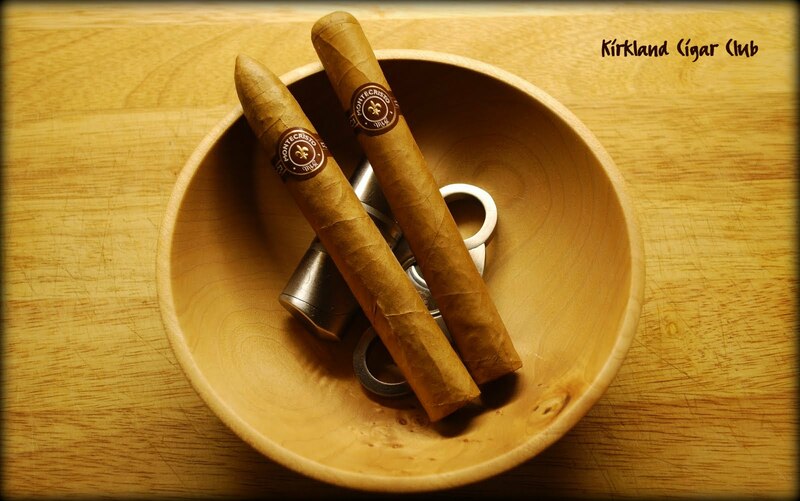 To participate in Cigar Wars, visit us at Lit any Thursday evening after 5 p.m. The spring is just around the corner and let's kick start it by having a Cigar Event at J & J Cigars! Berger & Argenti. The specials are buy three get additional one cigar, buy five get additional two cigars and buy a box get TEN extras, on top of 10% discount! This is an insane deal! Also, adult beverages will be sampled. Therefore, come down to the shop and smoke the winter blues away!